What happened this weekend? I dunno, not much I guess. 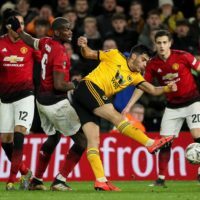 All we had was some teenager from Manchester put a serious dent in the title hopes of a big 4 team, some big results in the Champions League and Europa League and LVG fell over. 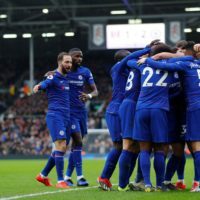 But let’s recap our week in the traditional SoccerPro way: with our weekly boot spotting round up. 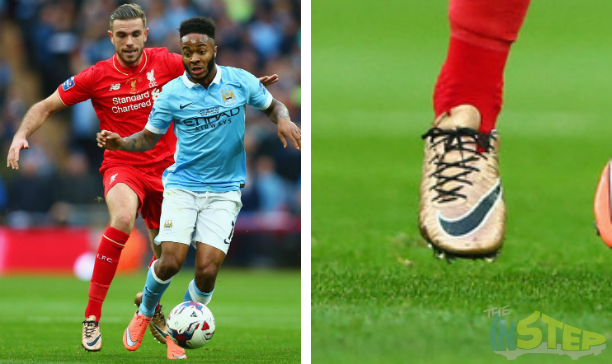 Start your Monday with our look at the week’s boot switches, custom boots and prototypes, check it all out below. We do not know exactly what we are looking at here, but one thing is for sure: this is a look into what Nike has in store for us in the next year or so. 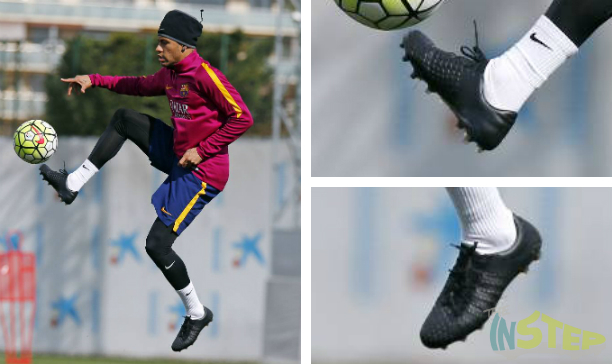 Neymar was seen during the week testing a mysterious Nike blackout boot, and we have a sneaking suspicion that this could be the next generation Hypervenom. Word is going around that the next Hypervenom will revert back to the NikeSkin upper of the 1st generation with the added support of Flywire, and this look pretty consistent with that rumour. The next Hypervenom is not going to be out for at least another 12 months, but from the first glance, this looks like a pretty exciting boot! 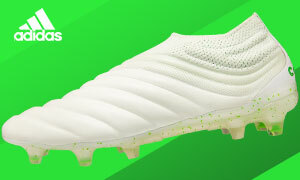 While adidas’ main man showed off the latest instalment in the Messi 15.1 silo during Barcelona’s midweek fixture against Arsenal (and scoring a brace in the process), the players in the Backed By Messi campaign have also been handed the new Semi Solar Slime Messi 15.1. The young guns, all chosen for the campaign as players who are thought to have a bright future ahead of them, are granted special access to the Messi 15.1 boots. 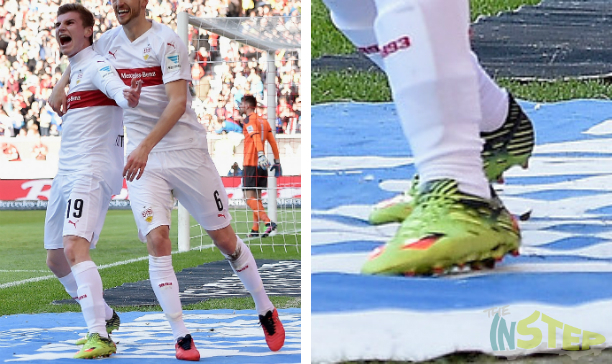 Timo Werner is just one of those players, and he took only 18 minutes to score his first goal in the new boots over the weekend. This kid has turned English football on its head hey? 18-year-old Rashford has become LVG’s saviour thanks to the two doubles he has scored over Arsenal and FC Midtjylland (I just call them Midget Land because no one has time to try pronounce that name correctly). 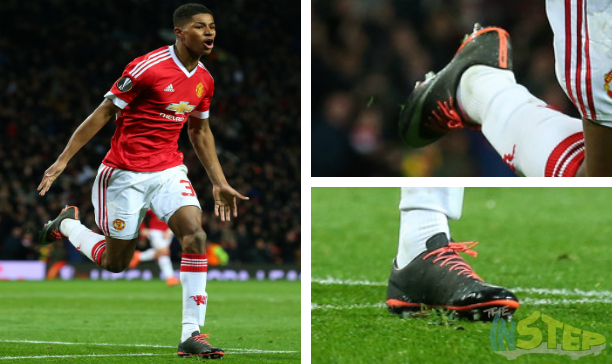 His boots are highly unusual too, and he follows the United “black boots rule”. The striker has taken the recently released Bright Mango Vapor X and carefully blacked out all the orange sections, but leaving the Nike tick and Mercurial branding on the heel in tact. The boots look absolutely awesome and the spots of colour here and there on the primarily black boot definitely turn heads on the pitch. A boot coordinated with the colour of your kit always goes down well at The Instep, and Dean Shiels has done just that with his Rangers home kit. Starting off with the Solar Blue/Volt Tiempo V, Shiels has gone over the Nike ticks in the same blue to create his all blue creation. The result is a boot that looks terrific with the Rangers home kit! Black out boots normally mean contract disputes, but we have a feeling that Elkeson’s black out boots are not about that. 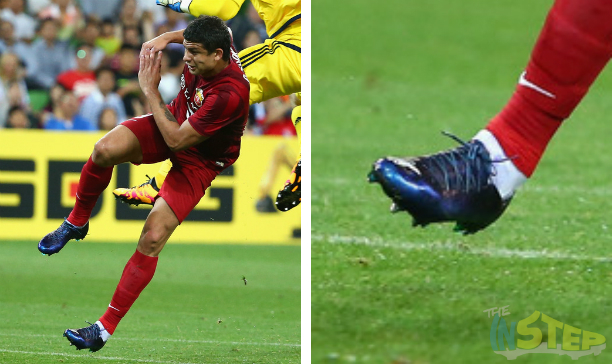 Elkeson has gone DIY on his Blue Squadron Nike Mercurial Vapor Xs, possibly with a black permanent marker, to create the rather strange looking boots that we see in front of us. So instead of a full blackout, we are left with something kinda half way. Not the right way to do a blackout, but at least he gives us a boot spot that is a little different! I will be the first to put my hand up and admit the girls do get some damn nice football boots. And I for one cannot blame Brandon O’Neill pulling a cheeky trick and fronting up for Sydney FC in a women’s boot. O’Neill was spotted in the Big Blue (i.e. 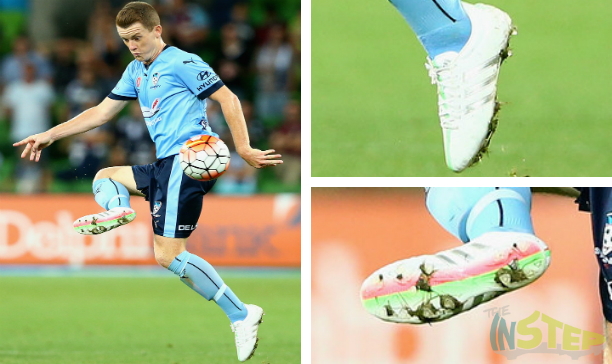 the derby between Melbourne Victory and Sydney FC) in the launch colourway adiPure launched in June 2014. While the boot was also cut with the female foot in mind, we are guessing that O’Neill has no qualms about wearing a women’s shoe.